In this article we would like talk to you about bad debt, because it’s something many small businesses can be caught out by. There are, however, ways to prevent bad debt from becoming a problem. It can be very frustrating for a business and can, in some cases, be lethal, particularly for small businesses relying on their cash-flow being consistent. Prevention is better than cure. There are a few things that can be done to prevent bad debt, one of which is to take payment upfront, but then your customers need to be willing to do that. Sometimes it can make sense to offer customers incentives to pay earlier – perhaps an offer like a 5% discount if they pay upfront, rather than paying the invoice two months down the line. Other preventative methods that can be done include credit checking customers, or getting a directors’ guarantee, which will make a director responsible for any debt that the company accrues. There are a few solutions that can be quite useful such as putting customers onto monthly payment plans, whereby they pay a certain amount each month which helps them with their own cash-flow, and by the end of the year they will have paid enough to cover the costs of the services that have been provided to them. 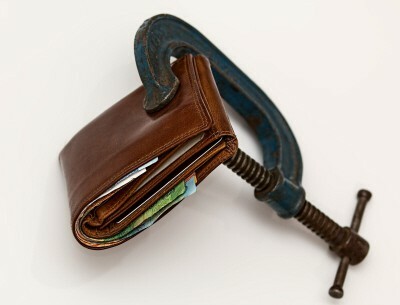 As with anything cash-flow related, bad debt is a killer for small businesses, so it’s worth thinking about the strategy on how to deal with bad debt and how it’s going to interact with customers and the business, and trying to come up with something to actually reduce it.